Apple Tree Pharmacy offer a pre-registration training programme for one year from July each year. We have a dedicated team who are passionate about pharmacy and the service we provide. The pre-registration pharmacist will play an integral part of our team playing a vital role whilst also training to become a pharmacist over the year. We are pleased to provide support on their chosen external pre-registration programme-training scheme from a shortlist of providers. This allows the pre-registration pharmacist to meet and learn from their fellow peers outside of the placement. Apple Tree Pharmacy, understand the learning needs of the Pre-registration pharmacist; therefore they will work in direct supervision of their tutor. 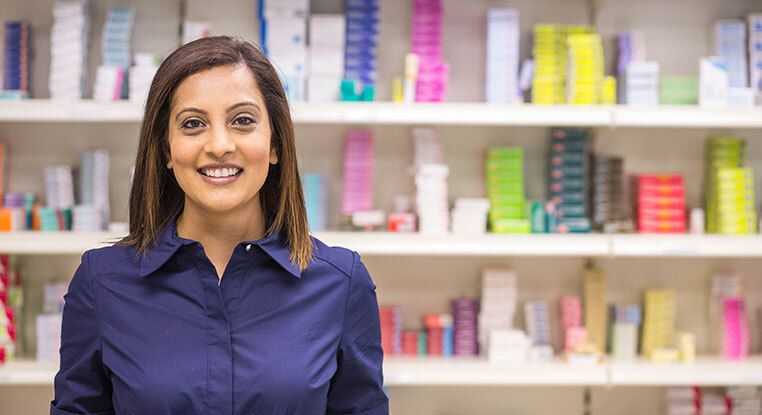 The tutor will be the superintendent pharmacist of the pharmacy who has over 10 years hospital clinical experience and over 3 years of community pharmacy experience and is a practicing independent prescriber. The Pharmacy provides a multitude of services, such as NHS and private dispensing, MURs and NMS, NUMSAS, NHS flu vaccination and health checks. Travel health service, childhood immunisation service as well as private pharmacist/GP service. The pharmacy is always innovating to try and provide additional services to the local population. The Pre-registration pharmacist will therefore have ample opportunity to gain knowledge and experience in all areas. We are looking for a person with the passion for pharmacy and the career they can have. Pharmacy is continually changing and therefore they need to be adaptable. A business minded, enthusiastic and professional individual who can work within a small team to effectively to provide a safe and efficient service. The drive to succeed and complete their pre-registration year, taking full advantage of the training and help provided.